Gutter Cleaning in Buxton, Derbyshire. 20 Years of gutter cleaning experience. Over a period of 20 years we have come across many types of gutter systems blocked in a variety of ways, from tennis balls down the downspout to children's toys blocking the gutter, moss, debris and even a dead squirrel! Gutter cleaning in Buxton and throughout Derbyshire. 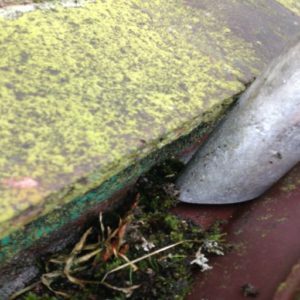 Central Gutter Cleaners cover gutter cleaning in Buxton, the High Peak, Bakewell and Derbyshire Dales. Using our Gutter Vac we can clean your gutters from the safety of the ground. Call us now for a free quote. Looking up from ground level we could be fooled in to thinking that our gutters are working as they should. However sometimes not every blockage is visible as this photo shows. The downspout was completely blocked and whilst the gutter itself was relatively clear every time it rained a little water overflowed down the wall and eventually caused damp. 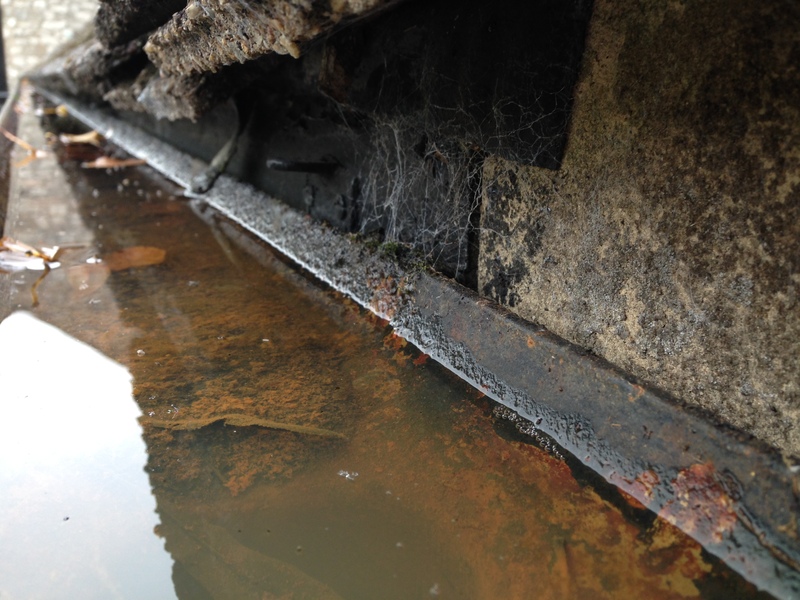 Prevent this happening to you and call or email Buxtons gutter cleaners. Neglecting your gutters is like pouring money down the drain. 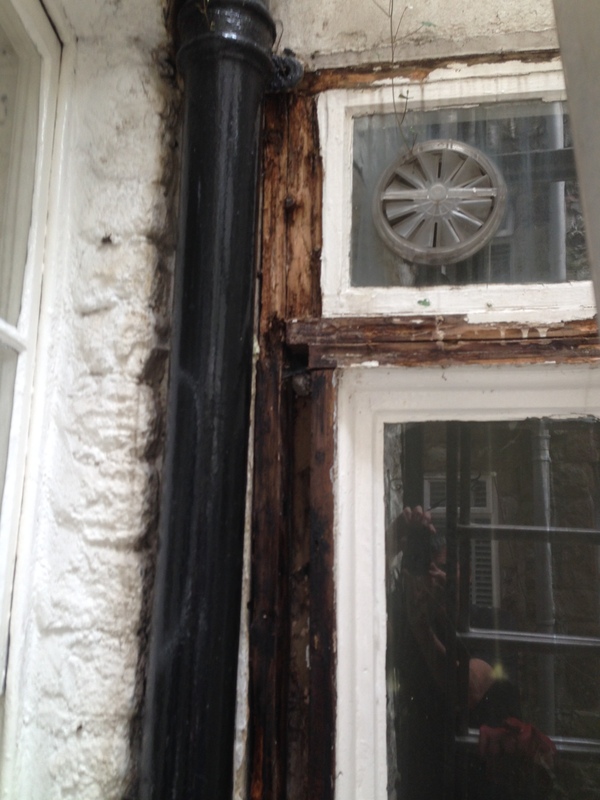 Guttering which has been weakened by age and lack of maintenance can fail in high winds, heavy rainfall and snow, while older and listed buildings suffer from blocked valley gutters which can cause rainwater to backflow under the tiles and result in water escaping into the building. 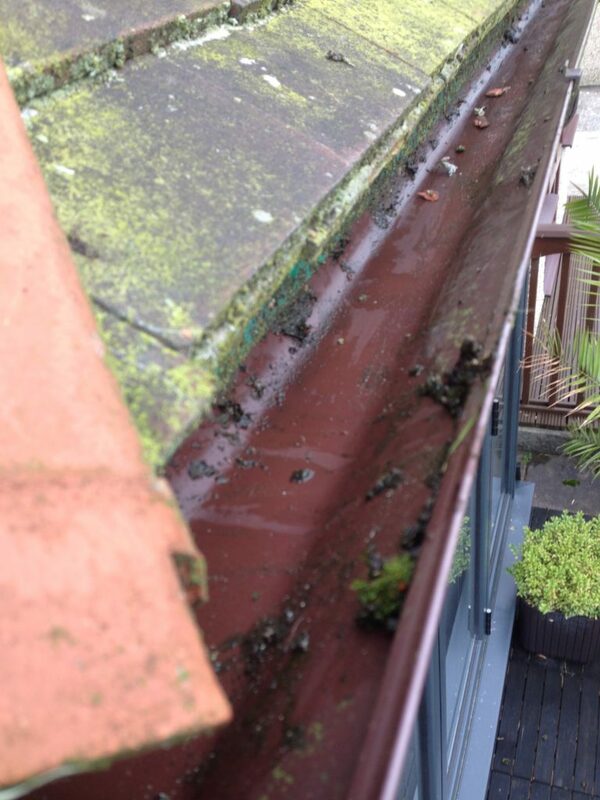 Gutters that are neglected and leaking water for a long period of time also have the potential to damage the foundations of your property, which can lead to costly and major reconstruction works being required. Blustery days can also cause roof moss, leaves, twigs and even bird’s nests to fall into gutters and block downpipes, which can lead to problems for homeowners such as rotten window sills and damp patches on property walls, which is why, before winter sets in, it is important to ensure your home is well-maintained.